Helping your Community through your love of Ultimate! Helping Ultimate through love of your Community! "Thank you so much for hosting a food drive and donating to St. Mary’s Food Bank Alliance. It is so important to our mission of providing food to those in need throughout the year. Your continued support and contributions have helped provide hope and meals for so many of Arizona’s hungry!" We were able to raise over $1,200 to send on to Susan G. Komen to help discover new cures for cancer and assist women in need. We have to give a special "thank you" to Kaysi Oliphant for going out of her way to raise extra money and secure great donations to keep our costs extremely low! Kaysi, you rock! Marnie's husband Kayman was nice enough to donate his time to take (and then enhance!) a TON of pictures. Seriously amazing job, Kayman! This was a blast to put together and host--but it's the players' and attendees' enthusiasm that makes it work! We hope that you all had a great time and to see you again next October. Thank you again for your enthusiastic support. See you on the fields again soon! A Charity Ultimate Frisbee Hat-Style Tournament! Proceeds will benefit Susan G. Komen for the Cure and the National Philanthropic Trust, funding important breast cancer research, education, screening, and treatment. Open to all skill levels. Great opportunity for beginners! MCQueen Rd. & Thatcher Blvd. 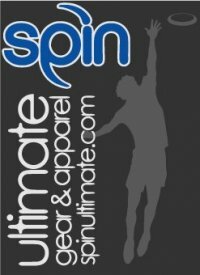 The winning team will receive shirts from Spin Ultimate! * More categories to come! AMAZING PRIZES, including sportswear from FiveUltimate and more!!! 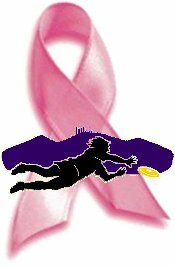 funding important breast cancer research, education, screening, and treatment. Additional prizes provided by David Andersen, Kay Johnson, Du or Dye Salon, Road Runner Sports, and Lindsey Doedens.